Except in the case of catastrophic injuries, Massachusetts has imposed a cap on non-economic (pain and suffering) damages in malpratice cases, in the amount of $500,000. In Massachusetts, when more than one defendant is sued, under joint and several liability each defendant may be required to pay the full amount of the verdict. This policy helps ensure that a malpractice victim will be fully compensated even if one of the defendants has insufficient funds or insurance. Under the traditional collateral source rule, payments received by the malpractice victim from third parties such as medical insurance companies would not be considered in the calculation of damages. Massachusetts has eliminated the collateral source rule for medical malpractice cases. The statute of limitations limits the amount of time a person alleging medical malpractice has to file a lawsuit against health care providers. The statute of limitations for medical malpractice cases in Massachusetts requires that a case be commenced within three years after the cause of action accrues. A medical malpractice case must be commenced within no more than seven years after the act or omission allegd to be the cause of the injury to the plaintiff, except when the cause of action is based upon the leaving of a foreign object in the plaintiff's body. 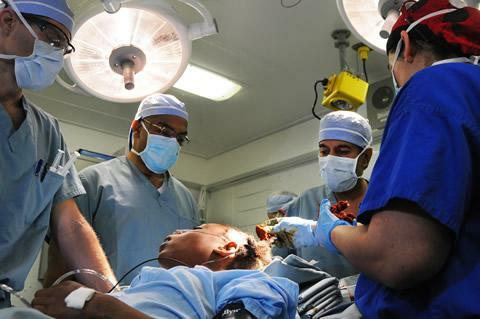 For malpractice claims by minors under the age of six, a malpractice action may be filed up to the minor's ninth birthday, but in no case more than seven years after the act or omission allegd to be the cause of the injury to the minor unless the cause of action is based upon the leaving of a foreign object in the child's body. Massachusetts caps attorney fees in medical malpractice cases to forty percent of the first $150,000 recovered, one third of the next $150,000, thirty percent of the next $200,000, and twenty-five percent of any award in excess of $500,000. If at the time of judgment and after deduction of the attorney's reasonable expenses and disbursements for which the plaintiff is liable, and the fee payable to the attorney, the court determines that the amount of recovery payable to the plaintiff is less than the total amount of the plaintiff's unpaid past and future medical expenses included in the recovery, the court may not uphold a contingency fee unless the fee is or is reduced to twenty percent or less of the plaintiff's recovery, or is reduced to a level that permits the plaintiff's recovery to the amount of the unpaid past and future medical expenses included in the recovery. In Massachusetts, all medical malpractice cases must be submitted for review by a tribunal consisting of a justice of the superior court, a licensed physician and a practicing attorney. Following a review of the evidence submitted by the parties, the tribunal must determine if the evidence presented and properly substantiated is sufficient to raise a legitimate question of liability for judicial inquiry, or if the plaintiff's alleged injury is merely an unfortunate medical result that does not rise to the level of malpractice. The testimony of witnesses at the tribunal and the decision of the tribunal are admissible as evidence at trial. An apology law prevents a plaintiff from using an apologetic or concilatory statement made by a defendant as evidence of the defendant's liability. Massachusetts has a general apology law, providing that statements, writings or benevolent gestures expressing sympathy or a general sense of benevolence relating to the pain, suffering or death of a person involved in an accident, made to that person or to a member of their family, is inadmissible evidence of an admission of liability in a civil action.